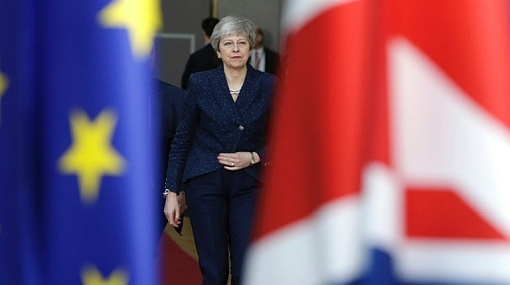 Earlier, the updated draft conclusions from the EU leaders’ summit read that the European Union would grant Britain a Brexit delay, with the length of it depending on the UK Parliament. Member states of the European Union, excluding the United Kingdom, have reached a consensus on their response to UK Prime Minister Theresa May’s request for a delay of the deadline for the UK’s withdrawal from the bloc, said European Council President Donald Tusk on Thursday. “EU27 unanimously agrees on its response to UK’s requests,” Tusk wrote on Twitter. “I will now meet PM [May],” Tusk added. According to a final communique, EU leaders will give the UK until May 22 to leave if the UK Parliament backs May’s Brexit deal next week. But if the lawmakers won’t pass the deal, the EU will give the UK until April 12 to indicate a way forward. “The European Council agrees to an extension until 22 May 2019, provided the Withdrawal Agreement is approved by the House of Commons next week. If the Withdrawal Agreement is not approved by the House of Commons next week, the European Council agrees to an extension until 12 April 2019 and expects the United Kingdom to indicate a way forward before this date for consideration by the European Council,” the European Council said in its conclusions on the Brussels talks dedicated to Brexit delay, requested by the United Kingdom.